How do I convert SFM/GMOD models to MMD? From where do I get SFM/GMOD models? Is it possible to edit converted SFM/GMOD models in PMXEditor? Do you ever see a pretty model that is for SFM or GMOD and wish that it was for MMD? Well, look no further! In this article, I will explain everything you have to do to get your dream models into MMD! This is a really long process so please stay focused. Step 1: Applying MMD Tools and Source Tools to Blender. 2. Go to [File>User Preferences]. 3. At the bottom, click on [Install Add-on from File]. 4. Go to the folder where MMD tools is located then click on its ZIP/RAR file to install the add-on, do the same for Source Tools. 5. In the User Preferences window, search for “MMD Tools” and “Source Tools” then check the boxes next to them. Step 2: Downloading the models. Two sites I prefer for downloading models the non-Steam way is garrysmod.org and SFMLab. You can also download models through the Steam Workshop Downloader website to download models only available on Steam. You’ll have two folders: “models” and “materials”. The “models” folder has files that have the extensions (.mdl), (.vvd), (.phy), and (.vtx). We don’t need the VVD, the PHY, and the VTX files because they are additional data that work only in SFM and GMOD so you can delete them. 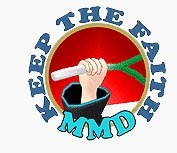 We must focus on the MDL file. That’s the model’s data, similar to PMX and PMD but MDL files are compressed and need decompiling or decompression. The “materials” folder has files that have the extensions (.vmt) and (.vtf) which stand for “Valve Material File” and “Valve Texture File” which can be opened using VTFEdit. VMT files are code so you can delete them. VTF files have the textures in image file formats which are what we need. The method for SFM models downloaded through the Steam Workshop Downloader is the same. 2. Drag the GMA file into the GWTool window. The program will extract the GMA file into a (.7z) file. 3. Extract the 7z file with 7-Zip. The 7-Zip file will extract a ZIP file. Decompressed it with 7-Zip. You’ll have the two folders: “models” and “materials”. Step 3: Decompiling the MDL files. 2. Go to the decompile tab. 3. Drag the MDL file into the program window. In the output folder, a bunch of files will be extracted. Most of them have the extension (.smd) and one file has the extension (.qc). The SMD files are the model separated into multiple parts or assets. This is very helpful if you only want a part of the model. The QC file is the complete model unseparated, that’s the one we need. Step 4: Decompressing the VTF files. 2. Drag the VTF file into the VTFEdit window. 3. Make a folder for the textures, I’ll call mine “Tex”, and save the textures in the folder either as a TGA file or a PNG file to keep transparency. Step 5: Converting the models to PMX format. Now you have to convert the model to PMX format by using Blender, MMD Tools, and Source Tools. 3. Look for [Source Engine (.smd, .vta, .dmx, .qc)] and click on it. 4. Look for the model’s QC file and import it into Blender. There are multiple tabs on the left. If you have installed MMD Tools correctly, you’ll see a tab titled “MMD”. 5. Click on the MMD tab. 6. If your model has bones (the small spheres on the model) then click “Convert” to convert the bones to the MMD bone format. If your model doesn’t have any bones, then click “Create”. 7. Click “Attach meshes to model”. 8. Go to [File>Export] and look for [MikuMikuDance Model (.pmx)] then click on it. 9. Look for a folder to save your model. 2. Drag model in PMXEditor window. 3. In “Add/Scale” window, go to the lower right part of the window and write 0.3 in the box next to the word “Custom”. 0.3 is the normal size for most SFM/GMOD models to fit the MMD height. But you can resize it as much as you want! 1. In the materials tab, select all the model parts and change “Diffuse” and “Ambient” color boxes to white and the “Specular” color box to black. 2. Normally, the textures are named the same as the model parts. So find the texture that has the same name as the model part. 3. Add/Edit some extra things to the model to your liking. Such as adding morphs, adding toon or spheres, re-rigging some parts, or connecting bones to each other. That’s it! You have your model ready for MMD! Ask your questions in the comments and I’ll answer them all! what version PMX use to this tutorial? What does the error say?? is it possible to convert mmd models to gmod? I sent a note to the author… I hope he gets back to you, soon. When trying to install MMD-tools, it doesn’t show up in the add-on list.